President Trump cast his vision Tuesday night during the State of the Union address. He described the security and prosperity he’d like to realize for the country, but he stopped to expose his thoughts on what he explained is a national tragedy. That’s when he laid-into Gov. Ralph Northam for his extreme views on abortion. During his State of the Union speech the President made bold promises to the pro-life community. In fact, Trump showed more support for a pro-life agenda than any President in recent history. First, he described how the value of newborn human life compares with the extreme full-term abortion policies of the Democrats. “There could be no greater contrast to the beautiful image of a mother holding her infant child than the chilling displays our nation saw in recent days.” President Trump stated. Rather than speaking in general terms, Trump narrowed his focus to target Governor Ralph Northam (D). Trump then began to propose a surprisingly bold pro-life agenda. 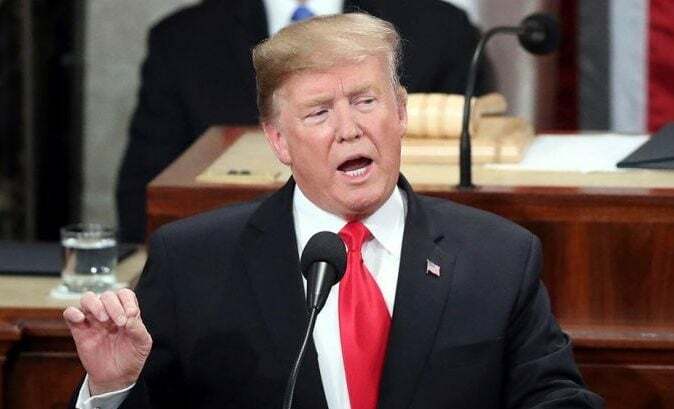 “To defend the dignity of every person, I am asking Congress to pass legislation to prohibit the late-term abortion of children who can feel pain in the mother’s womb,” Trump explained. Thank God for a president who is standing up to save those who cannot speak for themselves! I was appalled by Northam’s comments! I am so glad we have a president who is pro-life and stands up for the babies who cannot speak for themselves Shame on Gov Northrom and anyone else who shares his opinion.